We offer a wide range of Stainless Steel Elbows that are available in different sizes. We offer seamless and welded 90 deg elbows for inconel fittings in long and short radius. With close tolerance and excellent finishes, these elbows provide zero leak, torque-free seal. Different specifications of material and grades as well as threading and pressure ratings can be availed from us. Real Bellows and Engineering Co.
We are the prominent wholesaler, trader and supplier of a wide range of UPVC Elbows. These products are manufactured using compulsory raw material at vendors’ end. Our accessible products are checked on well-developed parameters in order to warranty the faultlessness of the products. 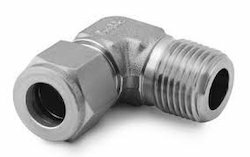 We offer Male Elbow from our exquisite store, which is another one of the best solutions used as a pipe fitting instrumentation. This is available in various sizes, dimensions and designs to cater the various requirements of customers. It is manufactured with best quality of raw material that ensures its sturdiness. CPVC Elbows offered by us are widely appreciated by our clients. The sturdy construction and durable performance of these PVC Elbows has escalated their demand. 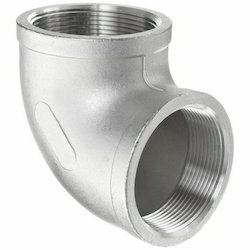 Due to their outstanding quality, we are regarded as one of the proficient Threaded PVC Elbow Suppliers in the market.